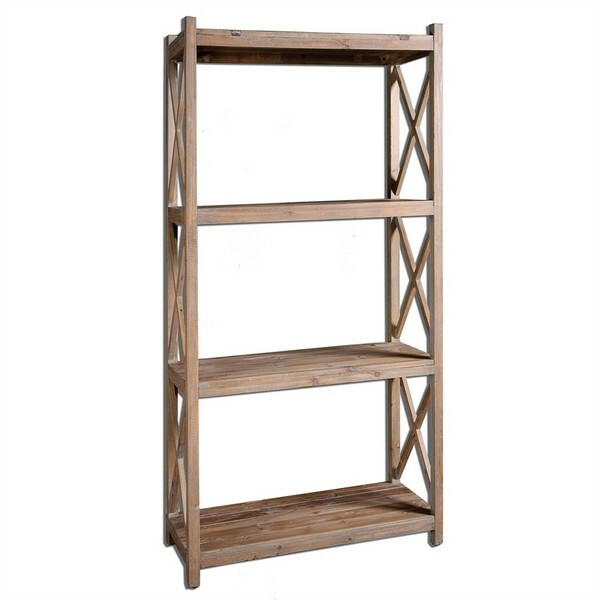 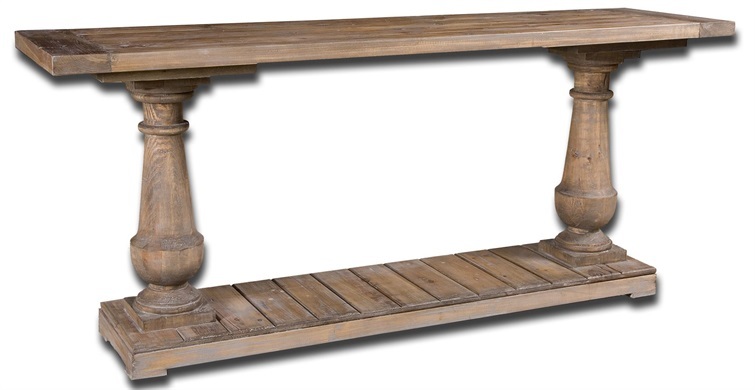 Description Constructed of salvaged fir lumber with a carved trestle base. 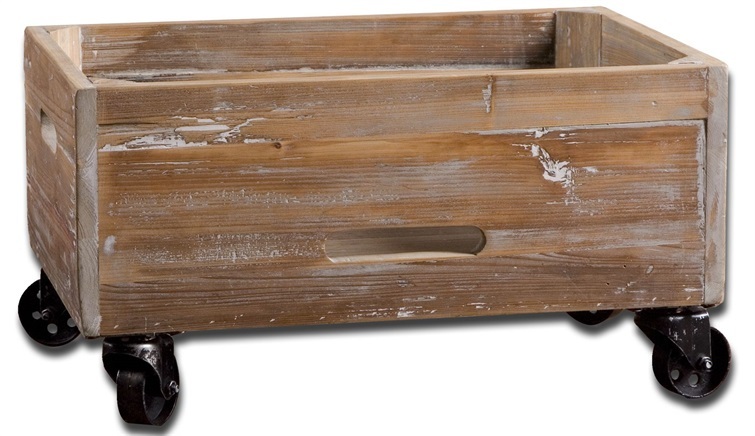 Sun faded and distressed patina is finished with a stony gray wash. 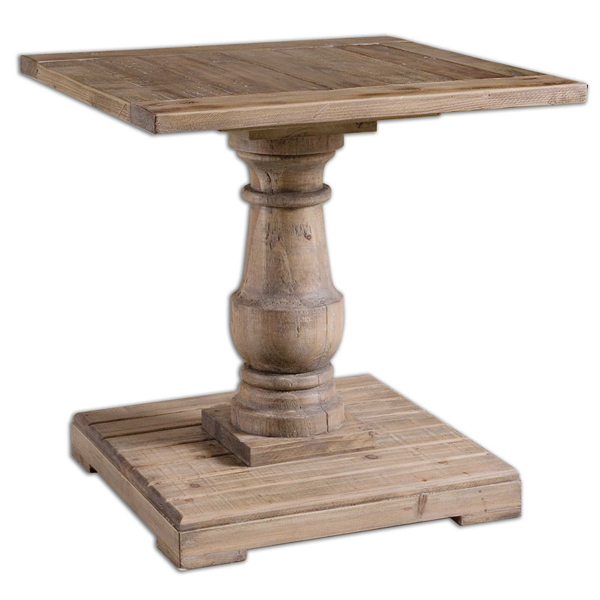 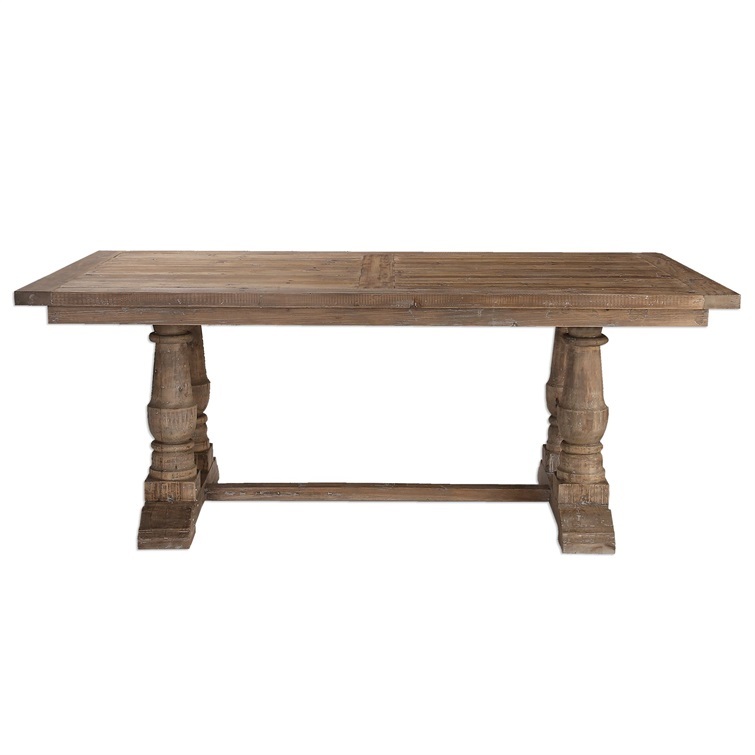 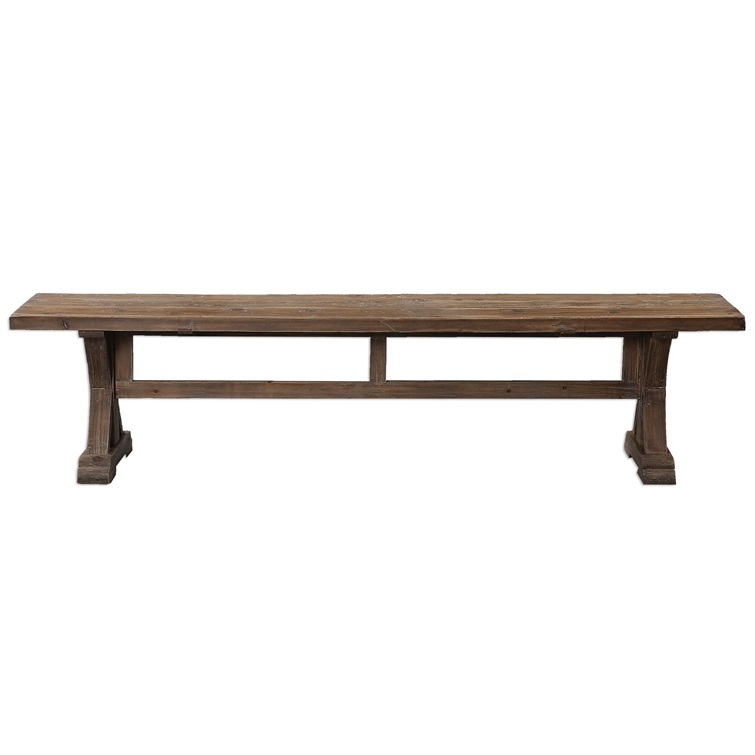 Shown with stratford table #24557.